Despite the complex external and internal manufacturing processes, our products are so special as we have chosen and used the right reinforcement materials with the right thickness in order not to stiffen but to sustain the bag. In this way, the products maintain a unique lightness and softness; they are slouchy on outside but functional on inside, lightweight but lasting. What are the artisanal craftsmanship methods we use to craft our products in order to achieve this realization? Our products are characterized by one of the oldest tradition of leather goods craftsmanship: handmade grooves to highlight the details where there are no seams, handmade artisanal stitching to strengthen and give more prestige to certain details, a special edge paint process that allows to make the edges smooth and polished even when the leathers’ thickness might be an obstacle in the process. What has been the most challenging part of developing our product? Combining the functionality with the pursuit of perfection in the manufactory techniques, where even 1 mm can make the difference; Making the bags slouchy while maintaining an internal defined structure. Which products are you most proud of? I am very proud of two products in particular: “le Grand Voyage” and the “Private Eye”. In these bags, all the aspects that I mentioned before are perfectly blended: quality and craftsmanship without any compromises. Why do we use more artisanal methods? Each of our products should have a soul and should be able to talk by itself. The key point here is craftsmanship. Only expert hands can realize artisanal details that are able to transmit passion and different feelings to the product. The beauty of the “perfect imperfection” that manages to make every product different from another and not as the result of an assembly line of an industrial plant. What is the process to create one of our pieces? The process of creating a product starts with a careful analysis of the sketch. The study of the details and the setup of the product are carried out in parallel to the phase of its development. This is very different from what happens in big brands, where these two activities are often divided and managed by different people who can have different objectives. The most important goal is, indeed, to realize beautiful but feasible products, and only by carrying out these activities simultaneously, with the right expertise and skills, this objective can be achieved. The edge paint. This process requires several time-consuming steps which are necessary for the quality of the manufacturing and I do not accept any compromises. The attention to the thickness of materials during the preparation phase. The quality of a product lies in in the perfect execution of each phase. Ensuring that external thickness of products is kept to a minimum even when there are several overlapping layers, as in the case of small leather goods. What are some special processes that we use? The way we reinforce the rings. This takes place by using a special strap and a metal accessory, a small buckle, which are both invisible to the eyes. 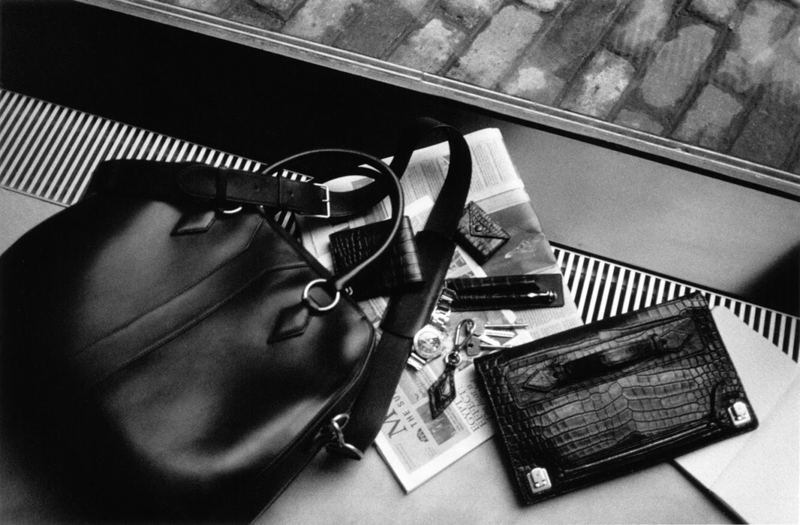 The artisan stitching that sustain and embellish the bags, of which the Voyage family is a perfect example. Why is heat sealing unique? why is it more special than stitching? Creating one unique body from two different components of a bag, without the help of stitching and the constraint of a thread, thus regenerating the material itself. It is achieved thanks to sensitivity and professionalism. Every material has its own soul and it is necessary to get empathy from the first moment with a physical and visual contact. I call this a wonderful harmony. What’s going on in the inside that may not be visible from the outside/ to the naked eye? Inside all the products, not visible to the naked eye, there is essentially another universe. This is what I once defined as the “invisible luxury”. Our customer might not be aware of it, but we have taken the responsibility to put all our efforts to realize an impeccable product. I simply tried to return to the origins to re-establish the ancient originality and nature of the materials. How? By using living, natural materials, and abandoning the chemical and artificial protections normally used that make leather similar to plastic. Why are our suppliers so special? All our suppliers share a common passion for their work and this, inevitably, flows into the special materials they produce. How difficult is the process to get great quality natural skins? It is difficult to stop the consumers’ belief of what visual perfection means. I like to say that some defects represent certain characteristics. The material of a bag should grow old naturally with us when we wear it, rather than remaining falsely motionless and static. In fact, whilst we grow old we are exposed to the sun, the wind, the cold, our skin and lips crack, we get wrinkles and so on. In other words, we live. And our bag lives with us. Why are you so proud of our products? You should have seen the first proto- it was overkill. We continued to reduce it and wear test it until it was reduced to perfection. We kept removing elements, replacing different ideas in order for it to work perfectly. The idea was not to overload it with functionality. It was meant to be intuitive and natural to use, nothing extra and nothing missing. Materials/Hardware - sourcing details, why and how we chose them? We selected our materials based on the absolute best- we took no compromises. We love natural materials. We do not like to cover our materials. We also uniquely developed our materials with each tannery. We did not take anything available but worked with each supplier in order to hone exactly what we wanted. Effortless, timeless, sophisticated yet relaxed. Each material needed to have its own personality and reason for being in the collection. Buffalo has a vintage feeling. Suede has a relaxed cool feel. Atelier is sophisticated and polished and gets better with every wear. Signature canvas is also very rare, the natural grain shines through the pattern. We wear test every product and also send every product to an Italian facility for extreme testing. The process to create our signature canvas- it is natural and artisanal. This was something we uniquely developed. It stands behind our commitment to natural materials. We never took any shortcuts in any part of our development. Achieving our Amarone colour was incredibly difficult. It took about 6 months of lab dips. That shade of red was nearly impossible to achieve. Too brown, too blue, too washed out. It was a lot of back and forth- but we were uncompromising. We have a different level of thickness for every product for every material. 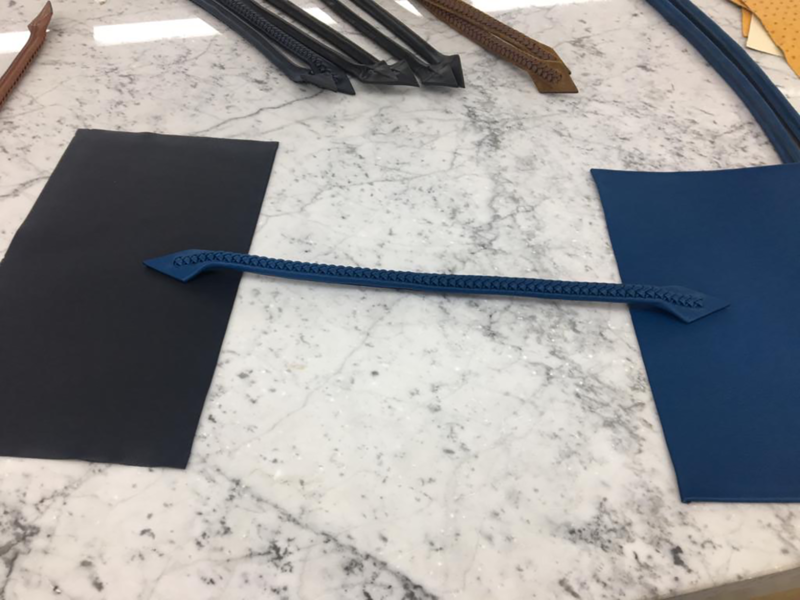 Meaning the thickness used in the suede le grand voyage is different from buffalo which is different from atelier calfskin. This is because the materials each act differently, they have different bodies and different weights, so we had to counter balance that to achieve consistency across all materials. This is highly unusual.